Following my AgeUK Internet Champion win in 2012 I was surprised and gratified when one of my contacts (another Keith), who has followed this site since it was first developed in the year 2000, asked if I would mind if he nominated me for an MBE (Member of the Most Excellent Order of the British Empire). He asked me for details about what I had done to deserve such an honour and I gave him some detail, starting with the publishing of a booklet entitled "Hints and Tips for Silver Surfers", which he had bought in 1999. He then followed the procedure required to make a nomination, which culminated in me being included in the Queen' s New Year Honours List (2015). See Wikipedia. for more detail on the various honours and for what they are awarded. He had done his work well, so late last year I was asked whether, if I was offered the honour, would I accept. 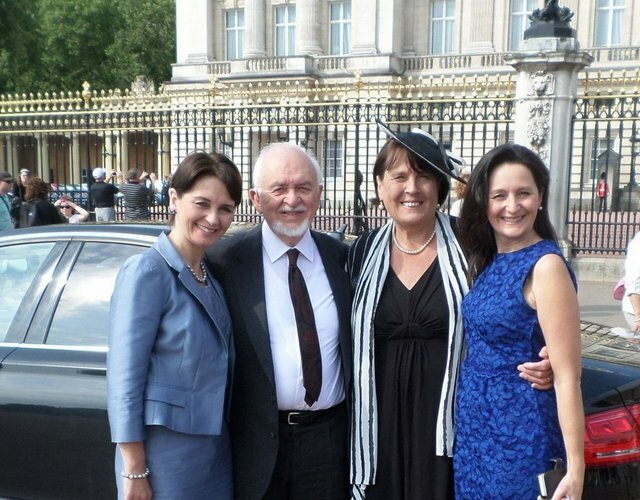 I then received further details and a Certificate of the MBE and finally, on the 12th June 2015, my wife and I and two daughters attended the ceremony in Buckingham Palace and I was presented with a medal by Prince Charles. I am sure there are many more worthy recipients than me but I DO feel very strongly that being connected to the internet, by whatever means, is vitally important for everyone but particularly for older people. As you know, there are so many advantages but these are multiplied many fold if you are on your own, unable to get out of the house easily, for shopping and for contact with the rest of the world and, in particular, with friends and family. I am fortunate to have a partner but unfortunate to be almost totally deaf. But deaf people are on a much more level playing field when it comes to the internet. Mine is just one disability but for others it may be restricted mobility, poor or absent eyesight, inability to type or use a mouse and so on. ALL these things are helped by the use of a computer. Moreover, these days there is an assumption that people are connected to the internet. In some cases it appears very difficult to be able to use services (especially Government services) without using a computer. Indeed this is their declared intention - for the UK to be a Digital nation. True, the problem (of many older people not yet being connected to the internet) will ease, as younger generations follow through, with their familiarity with the digital world. But still there remains a sizable group who need to get started and once started need to climb the learning curve with which many are familiar. Not only that, the technology is by no means perfect or 'friendly' and there is the ever present risk of their equipment being accessed by money-grabbing criminals from just any part of the world. So, despite being 83, I intend to carry on this work until I can no longer manage to do so. Enough of that preamble. 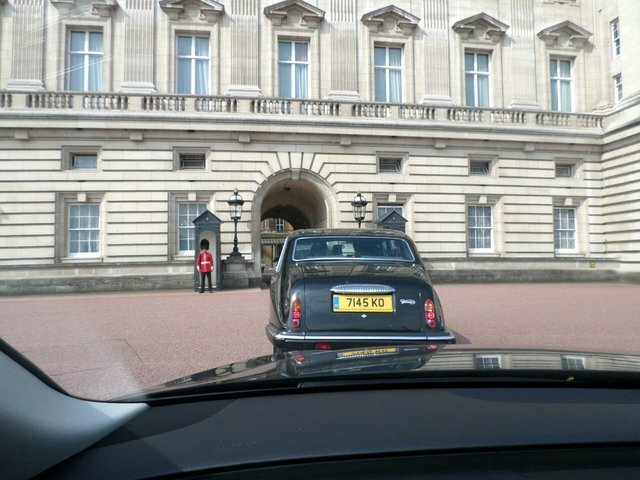 I will try to convey what it was like to visit Buckingham Palace and receive my medal from Prince Charles. 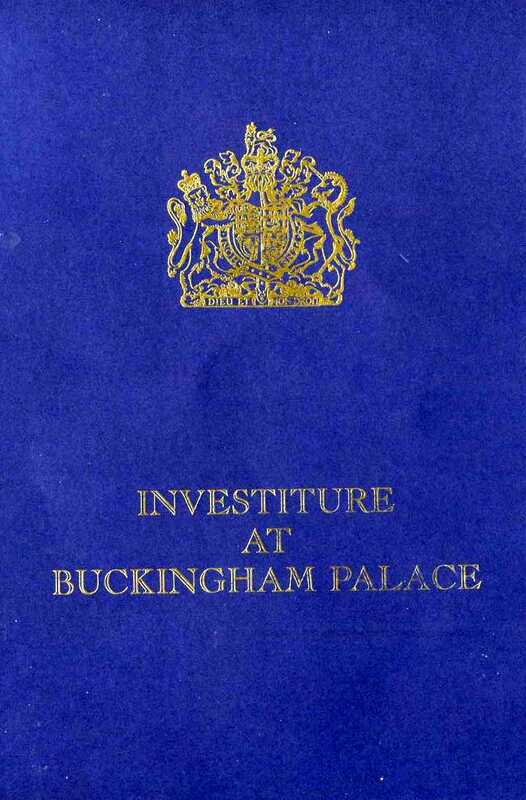 Twenty-five Investitures are held each year, with one at Holyroodhouse, Edinburgh, and the rest at Buckingham Palace or Windsor Castle. 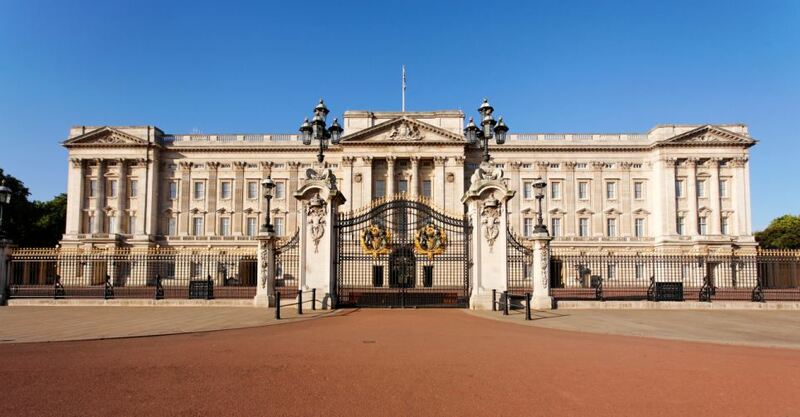 At the Palace the Queen or Prince Charles enters the ballroom accompanied by two Gurkha Orderly Officers - a tradition begun by Queen Victoria in 1876. There are also five members of the Queen's Body Guard of the Yeomen of the Guard (created in 1845 by King Henry VII). 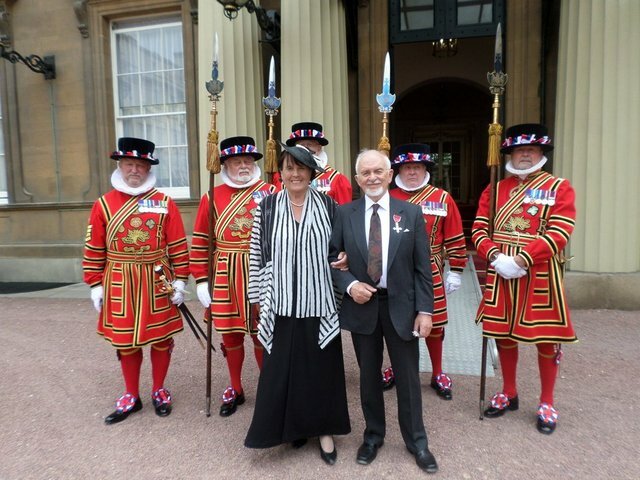 Those receiving a knighthood (not me!) or Damehood kneel on the Investiture stool to receive the Accolade, which is bestowed (dubbed) using a sword which belonged to King George IV. 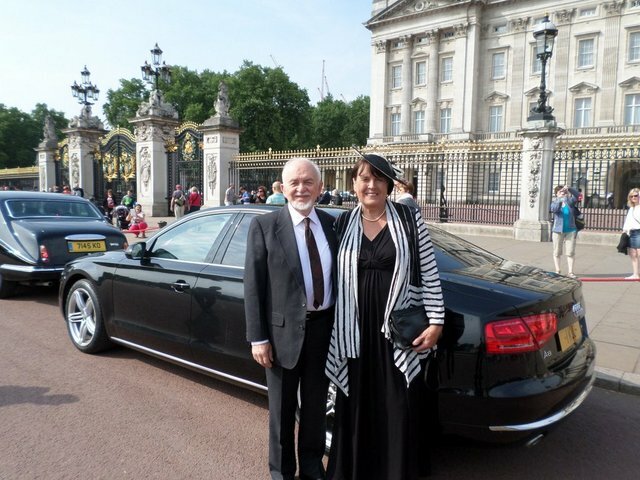 Whilst many people get a taxi to the Palace we were fortunate to be driven, not just to the gates but through an archway into the inner quadrangle to the very steps of the building in which the ceremony took place. There we were separated into 'Recipients' and 'Visitors'. The visitors were ushered up the grandiose stairway to the palace ballroom in which the ceremony was to take place and were seated in tiered rows, awaiting the Prince of Wales and the recipients. 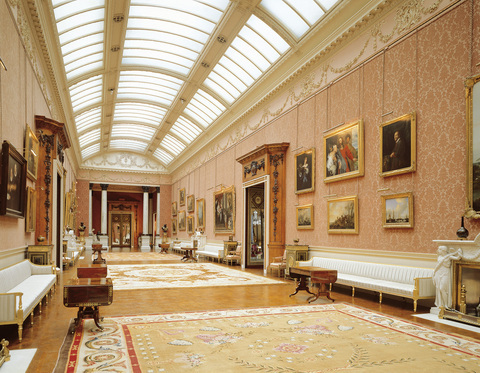 As a recipient I was ushered up another stairway and found myself in a long gallery (see below), the walls of which were covered in famous works of art. Vermeers, Canalettos, Van Dycks. We were separated into MBEs and CBEs and made various attempts at conversation whilst we waited to be called. Altogether there were about 100 of us. Eventually, our names were called and we were lined up - about 20 at a time - and our names were checked to make sure we went in the right order. 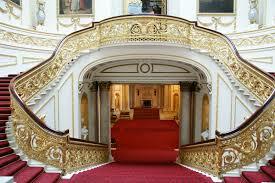 We then filed into an anteroom of the ballroom and ushered through one at a time. As you get to the head of the queue, your name is called out and the reason that you are getting the award. 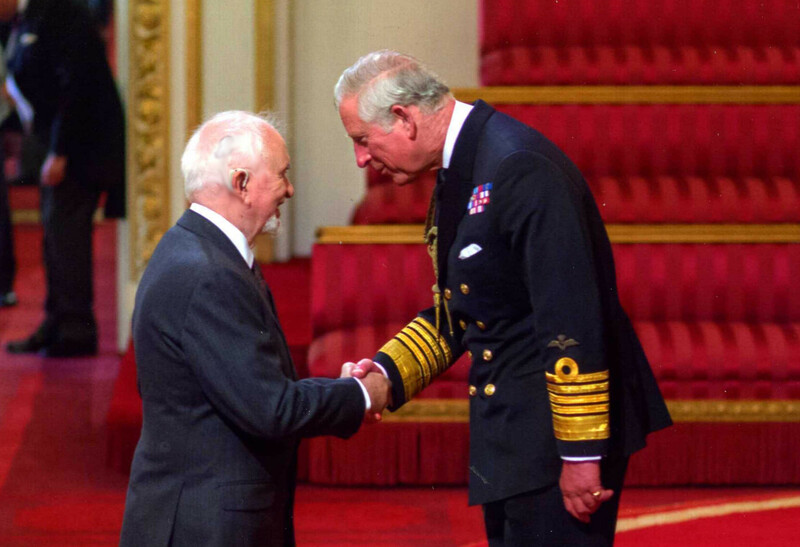 Then a few steps forward, left turn, a quick bow, walk up to Prince, who traditionally says a few words, he pins the medal on your lapel, a few steps back, quick bow, right turn and off you go. In another ante room you receive a box for the medal and then go to join the audience to watch the remaining recipients get theirs. The ceremony was accompanied throughout by the Countess of Wessex String Orchestra, which would have been appreciated by all who attended. I then joined the others and we walked out into the Quadrangle where the official photographers were busy with lines of people and others were taking personal photos. At that moment a carriage and pair came through an arch to collect a small band of "Beefeaters", dressed in traditional costume. We were lucky to be able to pose for a couple of photographs in front of them. 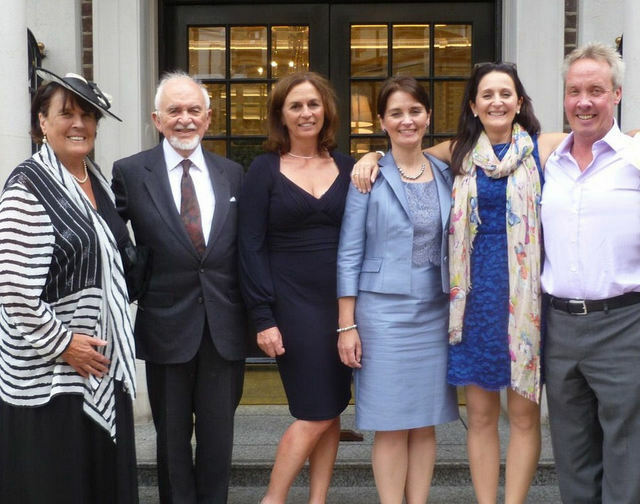 As we were only allowed three guests at the ceremony, another daughter and her husband joined us later at the Goring Hotel, which is not far from the palace and we were able to all celebrate together with champagne, followed by lunch. This really was the cherry on the cake of a day which went very smoothly and was enjoyed by all. 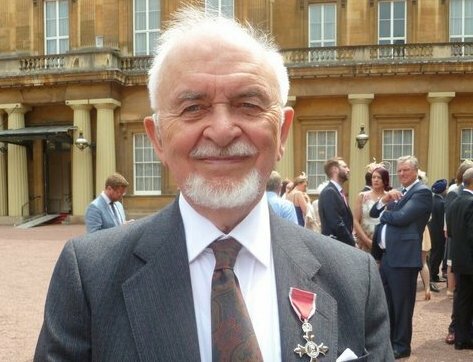 Want to nominate someone for an MBE? 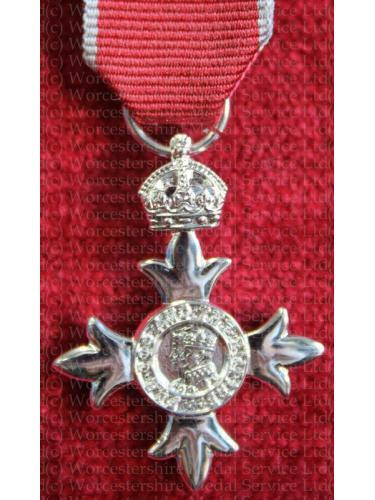 The first thing they need to do is to go to the Government Website The Honours System at https://www.gov.uk/honours/nominate-someone-in-the-uk. You can download the forms you need from this website. Also you want all your information ready because the forms let you type on them and then you can print out the completed forms. It looks so much neater than hand written. Your Nomination will need at least four letters of support from people like your MP. That is always a good one because he will be known at the Cabinet Office where you send your nomination, or Clergy and other people who know what the nominee has achieved .Don't worry if your MP does not know them. Write to these people giving as much information as possible and why you are nominating them. This will help them to write a support letter. In my case, my local MP. was Matthew Hancock, Minister to the Cabinet Office, who has a special interest in a Digital Britain. I believe his supporting letter was crucial to the success of the application. Make sure that their support letters are sent to you so that they can be sent all together in the same envelope as they get thousands of nominations and the Honours process can take up to two years.